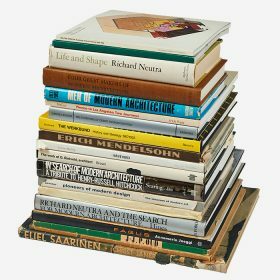 We proudly handled a large selection of items from the personal library of Wilbert “Bill” and Marilyn Hasbrouck in a series of sales in 2017, including the 20th Century Art & Design auction on December 2 and the Objects Online auction on October 25. The Hasbroucks ran the legendary Prairie Avenue Bookshop in Chicago, known for its architectural focus for nearly 50 years. 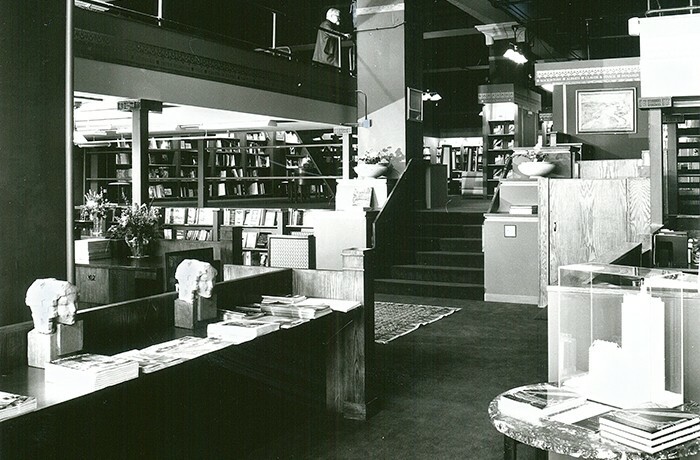 At the outset, the Bookshop was located in the Prairie Avenue Historic District in the Near South Side. The Bookshop was close to the Glessner House Museum (Chicago’s oldest surviving building) and the Clarke House Museum (Chicago’s oldest surviving home). Eventually, the Bookshop moved to South Dearborn Street in Printer’s Row. A longtime hub of printing and publishing activity, before finally settling on Wabash Avenue across from the famous Auditorium Theatre in The Loop. During our 2017 auctions, we offered over 150 lots from the Hasbroucks’ captivating collection. 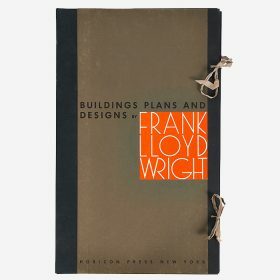 The collection consisted of rare books and ephemera from Frank Lloyd Wright and other prominent architects. Volumes related to the Great Chicago Fire of 1871, Chicago architectural history, and Art Nouveau. Previously, Toomey & Co. also offered paintings, furniture, and decorative arts from the Hasbroucks at auction. 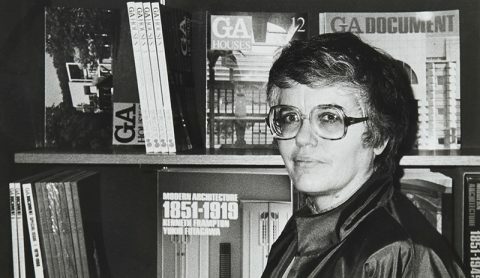 When it comes to architecture-related books and documents, Bill and Marilyn Hasbrouck have always had a sixth sense for finding the rare and unusual. Their legendary Prairie Avenue Bookshop in Chicago was the “go to” place to secure elusive historical items. And while visiting their store, it was impossible to leave without finding other things that you never even knew existed. Bill and Marilyn’s shop was always a literal open book for its customers. With a shop so filled with diverse and wonderful treasures, it was natural to wonder what was in their personal library at home. Well … here’s the answer. Their decision to downsize has resulted in some eye-opening lots for anyone interested in architecture, design, planning, landscape, and other related disciplines. I’m surprised — and at the same time I’m not surprised. Wonder no more. Welcome to an exciting book hunting expedition courtesy of Bill and Marilyn. Opportunities like this don’t happen often, so enjoy! 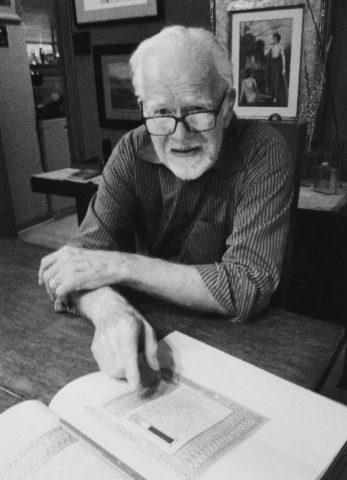 On February 10, 2018, Bill Hasbrouck died at the age of 86 due to complications from Parkinson’s disease. We were deeply saddened to hear of our friend’s passing. His contributions to architecture and preservation in Chicago and beyond were unparalleled. 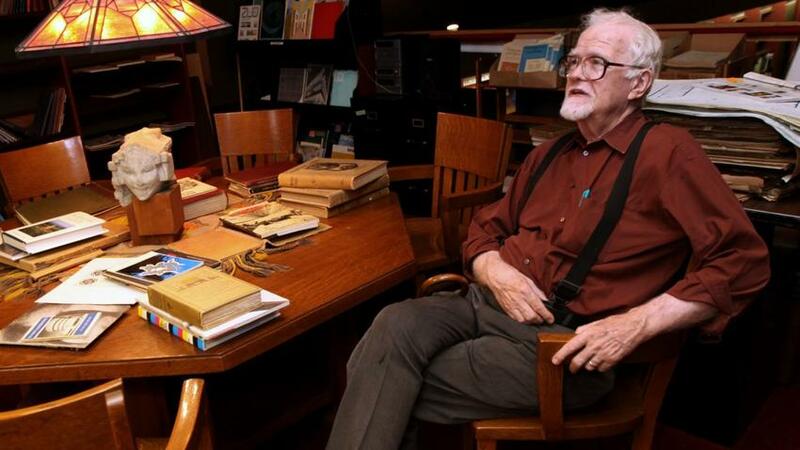 We enjoyed working with Bill and his wife Marilyn over the years and have fond memories of Bill’s sharp eye, tales of collecting, and vast knowledge. Bill will be missed by all who knew him.